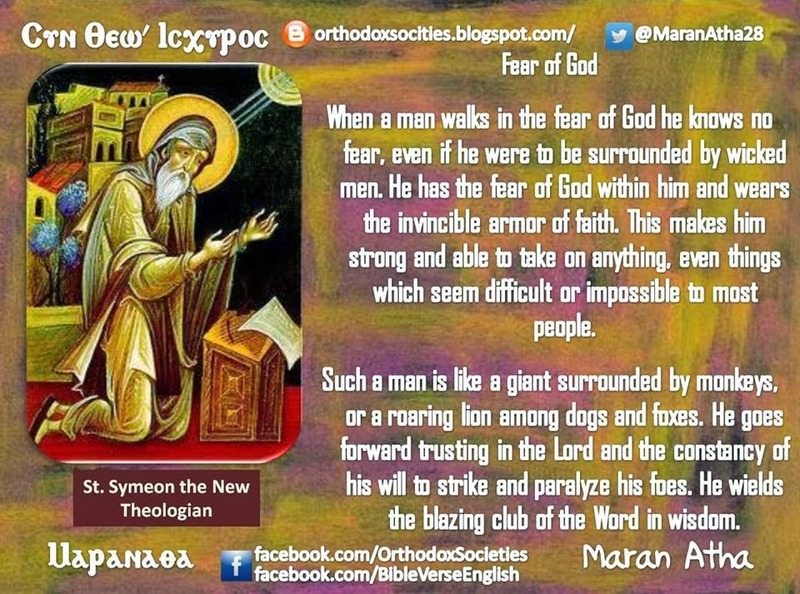 "When a man walks in the fear of God he knows no fear, even if he were to be surrounded by wicked men. He has the fear of God within him and wears the invincible armor of faith. This makes him strong and able to take on anything, even things which seem difficult or impossible to most people. Such a man is like a giant surrounded by monkeys, or a roaring lion among dogs and foxes. He goes forward trusting in the Lord and the constancy of his will to strike and paralyze his foes. He wields the blazing club of the Word in wisdom."